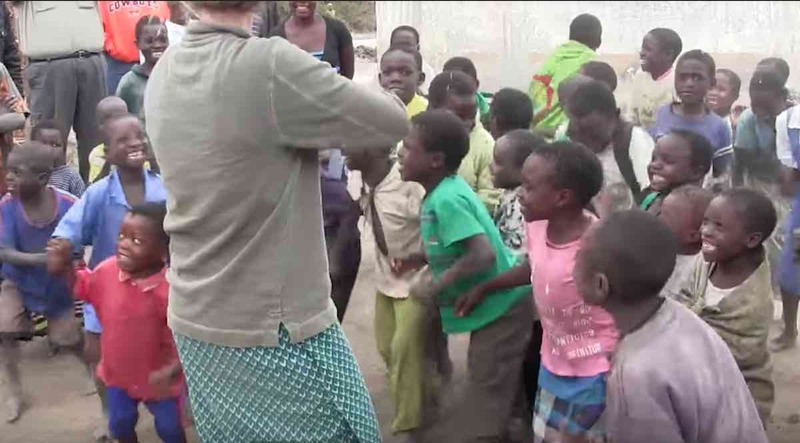 These children won’t have to meet the devil at a crossroads to bring their musical spirits to life – instead, a young woman became their angel when she started serenading the African kids with her fiddle. According to Paige Parks, the kids had never seen or heard a fiddle before in their lives. So when she pulled out her trusty instrument and started sawing out a tune for the youngsters, they could not contain their delight.